My week long trip to Malta was easily the most relaxing trip I’ve ever gone on. There was no work to be done, no rush to see everything in time. Just relaxing fun. Our hotel was just outside the city gates for Valletta, the capital of Malta. A fantastic location for visiting Valletta every day as well as getting buses to other parts of the country. Most of our time in Malta was spent exploring this historic city which is why I wanted to focus on things to do in Valletta. The interior of St. John’s Co-Cathedral is said to be one of the best examples of high Baroque architecture in Europe. Every inch of the interior is covered in gorgeous Baroque-style embellishment. This wasn’t always the case, however. When it was originally built it had a rather modest interior which reflects the rather drab exterior. It remained this way for the first 100 years after it was constructed. As a tourist site, it is perhaps the busiest in all of Malta. Massive crowds fill the cathedral and huge tour groups often block your way. More irritating to me however were all the signs that say flash photography isn’t allowed. These signs were completely ignored by tourists and they took away from the atmosphere a bit. I actually saw someone use the flash on their camera while standing directly next to one of these signs. DON’T USE FLASH! If you’re an art fan keep an eye out for not one, but two different Caravaggio paintings in the Oratory. The Beheading of Saint John the Baptist is the more famous of the two and was created specifically for the cathedral. It is the only one of Caravaggio’s paintings to bear his signature. Because of its popularity, it is incredibly crowded in the Oratory. St. John’s Co-Cathedral is very much worth all the hassle from the crowds and a must see on any trip to Malta. While turns can be a bit tight inside the cathedral there are ramps making it easy for people to get in. However, when we were there in April of 2016 there seemed to be some difficulty exiting. 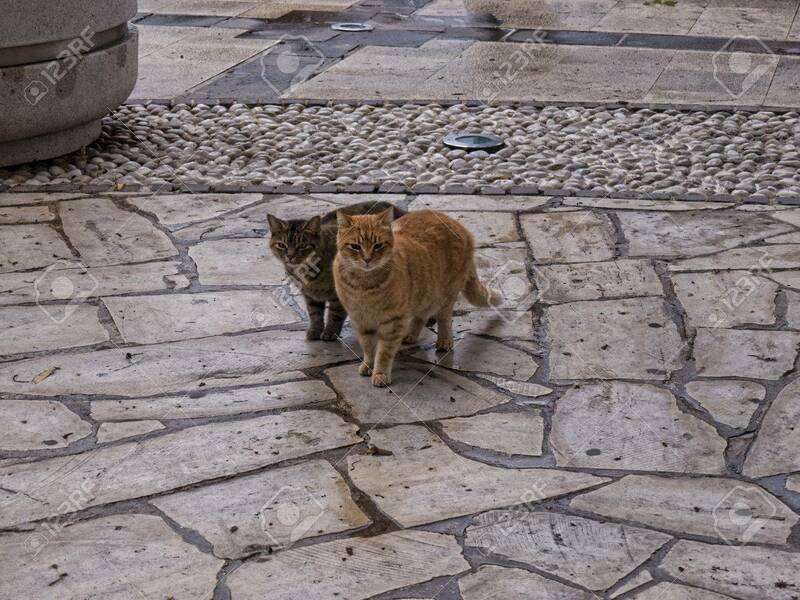 Outside there is a single step down which cannot be avoided. We were told when we got outside to push a button and someone would let us out. However, there was a group with a wheelchair ahead of us who had been waiting for more than 15 minutes at that point. As it was only one step I was able to get out of my chair and take it with ease. The toilets are also a concern for wheelchair users. Again, there isn’t much room for maneuvering in and this becomes especially apparent when you’re trying to enter and exit the bathroom. Keep in mind also that I use a manual wheelchair so it will be even more difficult for larger, powered chairs. Everyone who goes to the cathedral gets an audio tour that includes history and interesting facts about specific parts of the cathedral. A text version will display on the device so you can read along with what they’re saying. I found I preferred reading it over listening to it. The Upper and Lower Barrakka Gardens are both beautiful places to sit and enjoy the harbor. If I’m completely honest the gardens themselves aren’t much to talk about. We did see a number of lizards there which was fun. But the real attraction after the views is the firing of the cannons. They fire a cannon at the Upper Barrakka Gardens every day at 12 noon and 4 PM. You will want to arrive about 15 minutes early to get a good spot along the railing to watch from. Both the Upper and Lower gardens are a bit of a minefield for wheelchairs. Most of the paths are smooth but randomly, for aesthetics, it will change into a rough, impossible to navigate section. To see what I mean check out this stock photo. With some care and a bit of backtracking, you can get around the park. It’s just a little bit annoying. Teatru Manoel is one of the oldest theaters still in use in all of Europe. It was constructed in 1732 and has been used ever since. You have two options available when visiting. The first is to go during the day. They have a small tour you can go on and you get to spend some time in the theater. Or you can go see a performance. It is a beautiful little theater and I do want to put an emphasis on little. I was really amazed at how small it was. Photos make it look huge but it really is a small space. Unfortunately, the tour isn’t wheelchair accessible. If you want to see the theater however they will take you inside where you can look around. But you won’t be able to get to the upper seating and you won’t be spending much time there. If you want to see the iconic Valletta skyline the best way to do it is by boat. You have an almost endless number of boat tours available to you. I didn’t actually to do this, we had decided early on that we wanted to go back again sometime soon so we’ll be doing it when we visit next! Stay tuned for more information!! 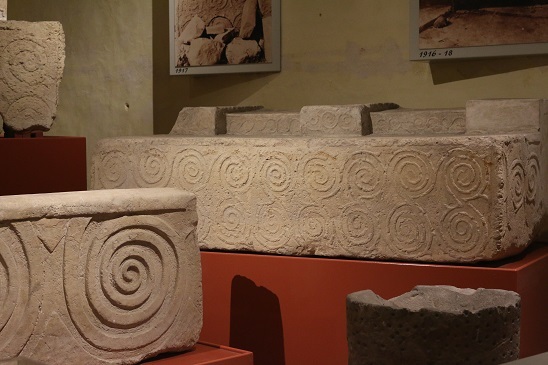 If you enjoy history you’ll enjoy the National Museum of Archaeology. It is right in the heart of Valletta on the main street that runs through the town, Republic Street. Artifacts in the museum date as far back a 5200 BC. If you’re an Anthropology nerd like I am then it is a must see to compliment your trip to the various ancient temples around the island. Malta is very proud of their long heritage. Along Republic Street, the various shops and building are almost all a couple of steps above ground level. While they are all supposed to have ramps available most do not (I’m looking at you McDonalds). The only place that had theirs out was the National Museum of Archaeology. It does have a few tight turns inside but we were able to maneuver without any difficulty and there are elevators and ramps to help you get around. Very accessible! Down at the very tip of Valletta sits Fort St Elmo and the War Museum. Malta has, for as long as there have been people, been an incredibly important and strategic place. As a result, it has seen a lot of war. 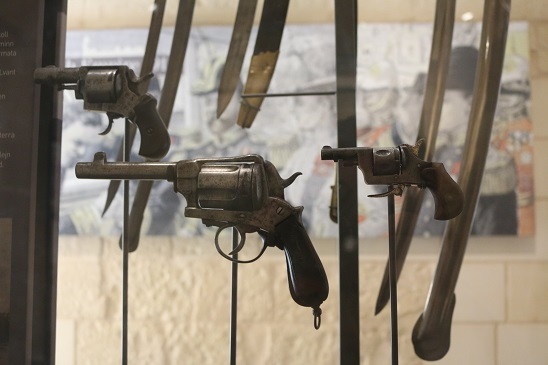 In many ways the War Museum feels like a continuation of the Archaeology museum, filling in the rest of Mata’s history from the Bronze Age to 2004. The most impressive section is the one about World War II but the entire museum is fascinating. The museum is very accessible but also has a lot of odd quirks about it. The elevators can only be used by the staff, but they don’t follow you around. The different exhibits are housed in different buildings and for wheelchair users it isn’t always obvious what way you should be going to avoid the stairs. Despite the odd quirks of getting around the museum was a lot of fun and it is still worth going to. Valletta had been on the top of my travel list for years, possibly as much as a decade and it did not disappoint. It may not be the easiest city to travel in a wheelchair but my husband and I still had a fantastic time while we were there. So much so that we’re planning on spending Christmas and New Years there this year! 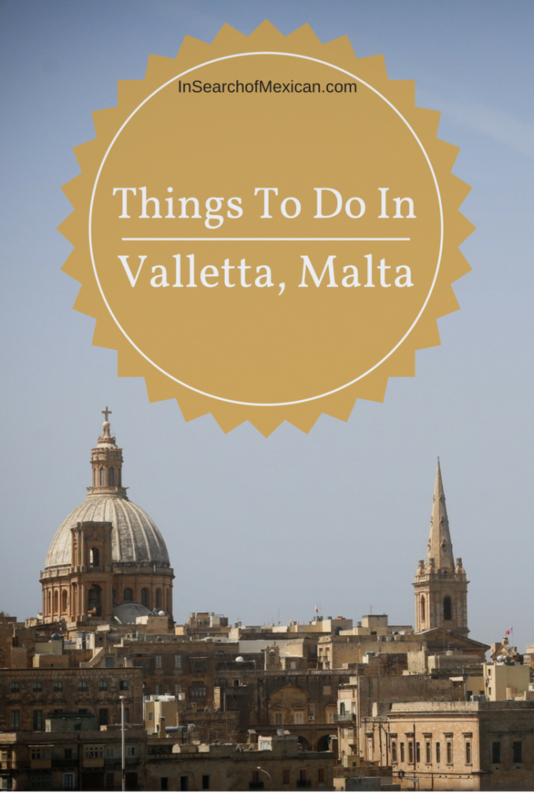 This is really just the tip of the iceberg when it comes to things to do in Valletta. Since we went I’ve found a bunch of other things that we need to do while we’re there next. While you’re in Malta make sure you try Kinnie, a local Maltese soft drink.